You are now able to run a complete portfolio analysis to see which Topics your institution is currently active in, and which Topics have high momentum, those therefore more likely to be well-funded. It will provide insight into which researchers are active in those Topics, which Topics your peers and competitors are active in and the related Topics of which you should be aware. Topics are ranked by Prominence, an indicator of the momentum of a particular field. A Topic is a collection of documents with a common focused intellectual interest and can be large or small, new or old, growing or declining. Over time, new Topics will surface, and as Topics are dynamic they will evolve. As with the nature of today’s research landscape many Topics are multidisciplinary, and old Topics may be dormant, but they still exist. In addition, researchers themselves are mobile, and work in various different research areas, and thereby contribute to multiple Topics. The development of Topic Prominence in Science is based upon extensive research and customer feedback. Unlike other research analytics solutions, which merely scratch the surface by only analyzing top-cited articles, we take the entire world of research into account. Our ground-breaking, new technology takes into consideration 95% of the articles available in ScopusTM and clusters them into nearly 96,000 global, unique research topics based on citation patterns. How can I use Topic Prominence in Science? What are the pockets of well-funded research in our current research portfolio? Who are the top performing researchers and upcoming talent active in those particular research Topics? How can we show that our institution is particularly active and leading the way in a research field, which has a lot of momentum? Which forward-momentum Topics are our peers and competitors currently active in? Which are the Topics with high momentum, that are likely to be well-funded and thus have higher grant success rates? Who else is active and publishing research in a similar Topic to mine, whom I could partner and co-author with? What are some related Topics adjacent to mine with a lot of momentum, where I could focus my research attention? The Topic Prominence in Science wheel provides a clear and simple overview of the Topics in which your institution is the most active. 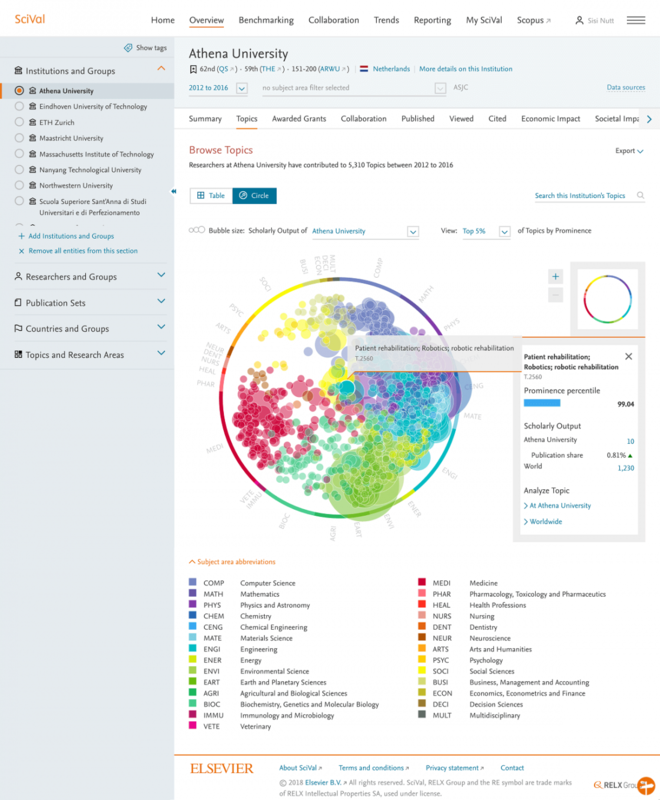 All Scopus publications are clustered into Topics using direct citation analysis (as opposed to co-citation analysis). As promised and based upon your feedback we are making updates to the newly released Topic Prominence in Science. You are now able to identify and export the top 500 most prominent Topics for your institution. You are now able to get a global overview of the most prominent Topics globally by filtering on ‘World’ under Countries & Groups. New Topics. New Topics have been added to SciVal (derived from existing Topics). Discover the top researchers and institutions in these Topics, along with information on which Topics these were derived from. Higher aggregation levels – we will be introducing groupings of related Topics to help browsing and discovery and aiding higher level analysis. Which Topics are likely to attract funding? Tying Topics to specific funding opportunities. *As with all Roadmaps it is an outline of future plans, and thus features and timings may change. The creation of Topic Prominence in Science is based upon years of in-depth research and extensive customer feedback and testing SciVal’s product, UX and development teams. 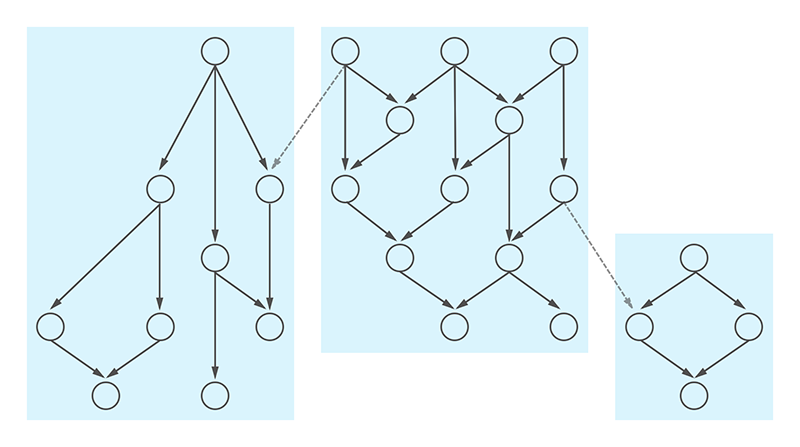 Due to recent advances and improvements in quality of the underlying data, the development of better algorithms to cluster scientific papers and greater computing technology, we have now created a model which is much more accurate, and allows us to analyze all Scopus data at the same time. Stable. 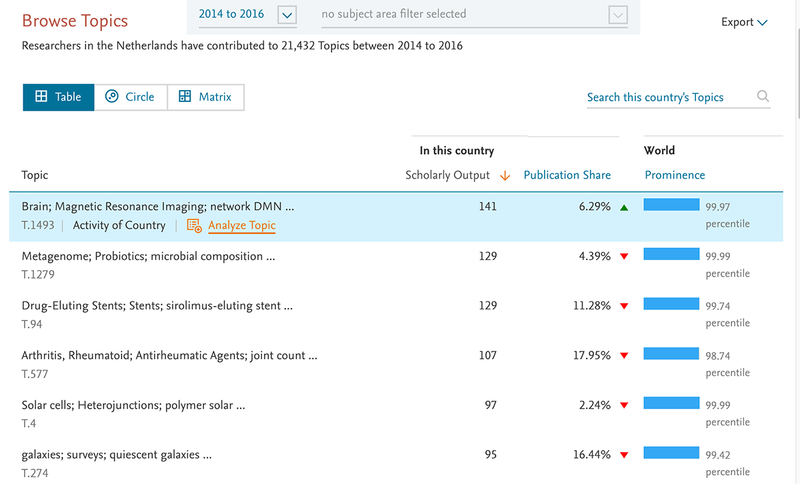 Topics are based upon clustering 95% of Scopus articles (1996-2017), therefore Topics can grow over time and can split into new Topics, but will never disappear. A Topic is a collection of documents with a common intellectual interest and can be large or small, new or old, growing or declining. Over time, new Topics will surface, and as Topics are dynamic they will evolve. As with the nature of today’s research landscape many Topics are multidisciplinary, and old Topics may be dormant but they still exist. In addition, researchers themselves are mobile, and work in various different research areas, and thereby contribute to multiple Topics. Scopus publications are clustered into Topics based upon a direct citation analysis. As illustrated in the images below, where there is a weak citation link, there is a break and a new Topic is formed. What is a new Topic? New Topics represent areas of research that have seen a significant growth acceleration in recently published articles and have attracted recent funding. These new Topics are derived from existing parent Topics and are formed by new citation relationships that have occurred in the past year. The publications that make up a new Topic are donated by multiple parent Topics - in some cases up to 300 existing Topics donate publications to create a new Topic. Once a year we rerun the SciVal Topics algorithm to identify newly emerged Topics. We look at a combination of the emergence potential (recent numbers of publications vs previous years), size of the Topic, citations and funding to classify a new Topic. In 2019 we identified and added 37 new Topics to SciVal. How does prominence relate to funding? There is a correlation between the prominence (momentum) of a particular Topic and the amount of funding per author within that topic. On average, the higher the momentum, the more money per author is available for research on that Topic. Prominence is a proxy for funding, which analyzes past funding patterns to predict future funding opportunities. To prove this, SciTech Strategies assigned 314,000 grants worth $203 billion from the STAR METRICS database, a large project-level funding database that accounts for 24 percent of US federal funding, to all 96,000 Topics through textual similarity. The grant data were split into two time periods for each Topic and the correlation analyzed. The model showed that the correlation between Prominence and future funding is 0.616, thus Prominence accounts for 38% (or 0.6162) of the variance of future funding. The borders between clusters (Topics) are identified by looking at where the citation links are weak. 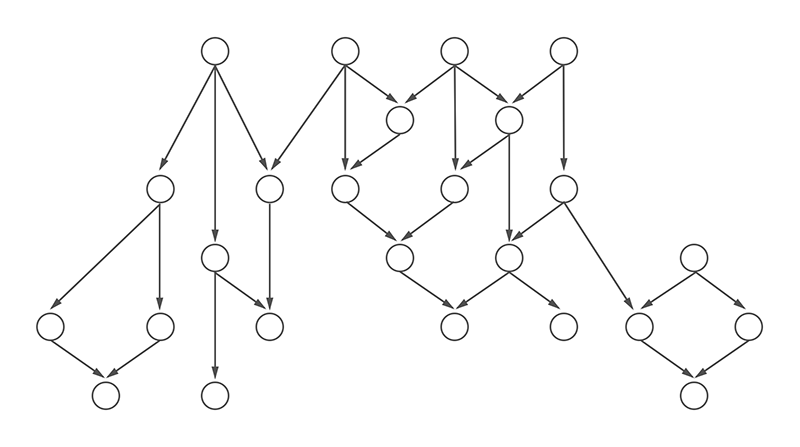 Where the links are weak, the clusters are split into separate Topics. Due to the nature of certain research fields there are Topics which, will never become "Prominent", however this is not mutually exclusive with the Topic not being important. Prominence is an indicator of momentum/movement or visibility of a particular Topic. Which Type of Citation Analysis Generates the Most Accurate Taxonomy of Scientific and Technical Knowledge?